Venus Black is a straitlaced A student fascinated by the study of astronomy—until the night she commits a shocking crime that tears her family apart and ignites a media firestorm. Venus refuses to talk about what happened or why, except to blame her mother. Adding to the mystery, Venus’s developmentally challenged younger brother, Leo, goes missing. More than five years later, Venus is released from prison with a suitcase of used clothes, a fake identity, and a determination to escape her painful past. Estranged from her mother, and with her beloved brother still missing, she sets out to make a fresh start in Seattle, skittish and alone. But as new people enter her orbit—including a romantic interest and a young girl who seems like a mirror image of her former lost self—old wounds resurface, and Venus realizes that she can’t find a future while she’s running from her past. This book is far from my usual reading material. I normally get lost in a book to take me away from reality. 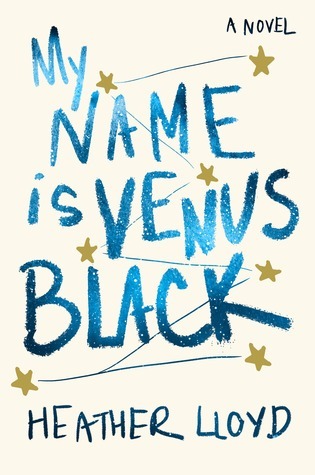 MY NAME IS VENUS BLACK is a book that will cause you to examine reality closely. 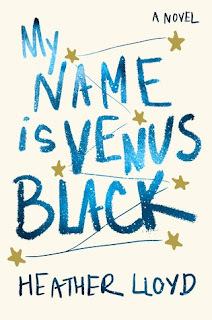 This is a dark coming of age for Venus as she works to set up her new life after prison. It is a story about love and family as Leo is still missing. It is a story about facing your past so you can work toward a better future. It's a story that will have the reader questioning their own decisions. I ended up absolutely loving the book though I did have some issues with finishing it. This wasn't a book that I would sneak a few pages every time I got the chance. In fact, there wasn't really anything drawing me back to the book once I set it aside. However once I started reading it again, I would be engrossed in the story itself. I do highly recommend this book as it is one that will stay with you. With the exception of some violence, this book is one that entrance readers of all ages from teenagers to seniors.